The loss of a tooth can take a heavy toll on your dental health and self-confidence. Although there are several options for restoring your smile, the dental implants procedure is currently the gold standard in tooth replacement. If you have lost a tooth, here is what you need to know about dental implants in Rockledge. Each tooth has two parts: the crown and the root. The crown is the visible part of the tooth above the gumline. Previous restoration procedures focused on replacing this part of the tooth. In contrast, dental implants replace both the crown and the root. The implant is a titanium device that is surgically implanted into the jawbone. As the bone heals, the implant fuses with the bone tissue. This creates a strong, stable foundation that can replace one or many lost teeth. Our Rockledge dentists can help you learn more about implants and decide if they are right for you. Although dental implants can cost more than other types of restorations, they are an investment in your smile and long-term dental health. 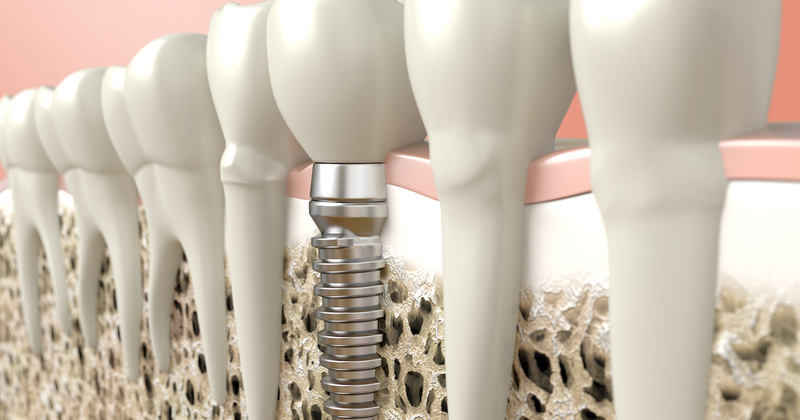 Dental implants have a long record of success and are durable, natural-looking, and comfortable. Scheduling a consultation with one of our skilled implant dentists in Rockledge can help you learn more about your options and estimated costs for affordable dental implants. Does dental insurance cover dental implants? Many patients have this question, but there is no simple answer. Not all plans offer dental implants insurance, so you will need to check with your plan. As the benefits become better known, more dental insurers are offering coverage, but typical policies do not cover the dental implants procedure, though they may still cover the restoration. Even if your insurer does not offer coverage for dental implants, we can work with you to find a dental implants solution that works for you. We offer affordable dental implants financing options and accept a variety of payment options. Call our office to learn more. The dental implants procedure varies based on the type of implants you are getting. There are two basic types of implants: endosteal and subperiosteal. Endosteal are the most common type of implant. They are usually made of titanium or another biocompatible material, and are shaped like a screw or post. This post is implanted into the jawbone during a minor surgical procedure. As the bone heals, it bonds or integrates with the implant. This process can take several months, but the results can last for many years. Subperiosteal dental implants are less commonly used but typically recommended for patients who do not have enough bone tissue to support endosteal implants and who are not candidates for bone graft surgery. Subperiosteal implants have a frame-like design and are made to fit between the gums and the jawbone. Both types of dental implants can be restored using crowns, bridges or dentures depending on your needs and preferences. Our Rockledge office can help you decide on the best implants and restorations for your new smile. At your consultation with our dentist, we can tell you about all the benefits of dental implants. 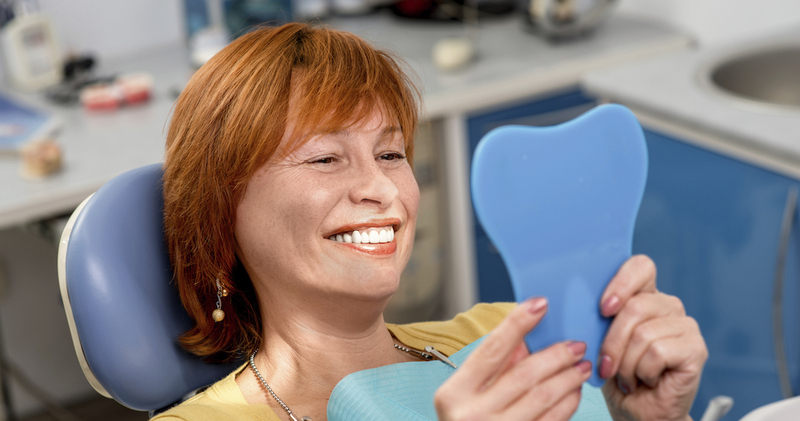 After your dental implants procedure, proper dental care can ensure proper healing. Good dental hygiene is critical to reducing the risk of infection. Our dentist in Rockledge will explain the best techniques for brushing and flossing immediately after surgery. You might need to take over-the-counter pain medication to manage any discomfort. Once your dental implants have been restored, you can simply brush, floss and rinse as you normally would. Visit us every six months or as recommended for professional cleanings and checkups. If you have lost one or more teeth, but want the confidence, aesthetics and comfort of a healthy smile, dental implants might be right for you. One of our experienced dentists can evaluate your smile and create your personalized treatment plan. This is one of the most common questions we hear. While there is no simple answer, we are happy to tell you that with good care, dental implants can last as long as natural teeth. Visit our office in Rockledge to find out if you are a candidate for dental implants.